To meet the demanding needs for power distribution, PSS sells and service the PDI brand of PDU's and Static Transfers Switches (STS) lines for upstream power distribution. 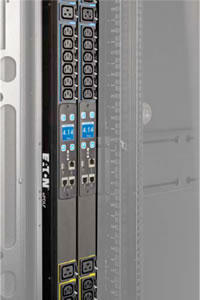 For power distribution in the data center racks we supply Eaton Rack mounted PDU’s. 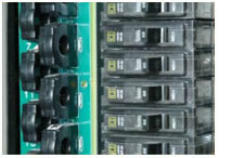 Power Distribution at the rack level is the heart of the IT data center. For data centers to stay up and running, proper power distribution is vital to today’s data center needs. Benefits of the Eaton line of ePDU G3 series of Rack Mounted PDU's: • Cost Savings – Reduced height allows faster service times for rack component repairs. • Higher operating temperature, up to 140°F • Light weight • Ease of installation • IEC plug retention- prevents unwanted plug dislodge providing enhanced reliability to the rack and eliminates the need for external clips or power cord solutions. • Metered displays: Billing grade accuracy • Advance LCD display For IT sites that need remote management, the ePDU series offers a switched ePDU that allows monitoring of the unit and the abillity to turn on and off individual outlets and to provide reboot capabilities. From the basic power strip style PDU to the more advance monitored rack mounted PDU's, Eaton has the Rack Mounted PDU to meet IT centers needs. Protects your critical computer equipment from electrical noise and spikes and acts as a single point reference ground. Each PDU can be individually configured to meet your needs for isolation, voltage transformation, harmonic reduction and voltage regulation with virtually limitless distribution options. .WaveStar monitoring built into our PDUs give you real-time control of actual loads down to the individual breaker level. This important decision-making tool integrates PDI’s BCMS and Intelligent Monitoring System so you control system-wide performance, breaker power levels, along with current and voltage data. This means improved, more timely decisions can be made based on real-time load and capacity data, all in one interactive and monitoring package. The PDI WaveStar PowerHub PDU provides the highest available power density of any PDU. 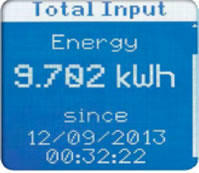 PDI’s award winning intelligent monitoring system is standard with these units. Over 25 years of experience has allowed PDI to become the preferred supplier of 4ms transfer switches to a wide range of industries. The new WaveStar communication package adds to this preference as it incorporates all of the features that the data center manager wants and needs in one compact package. The PDI static switch supplies critical loads with a choice between two available sources of electrical power. By continually monitoring power quality, the WaveStar switch automatically transfers to an alternate source without interruption of power to even your most sensitive critical loads. With a sense and transfer time of less than 4ms and the industry’s best communication package, the WaveStar represents the highest performance power switching solution available. Win the Race for Space Today’s peripheral devices are decreasing in ampacity while increasing in quantity. Although your PDUs may still be able to handle the power demands of your growing facility, they may not have room for expansion. PDI’s Remote Power Panel (RPP) helps you win “the race for space” by providing the added pole “space” to meet your distribution needs without consuming valuable floor “space”. Individual Branch Circuit monitoring for PDU’s and Panelboards. 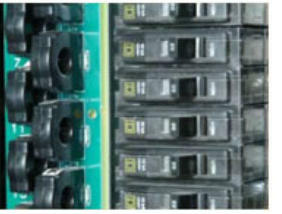 Branch Circuit monitoring can be factory installed in PDi’s PDU and RPP. Custom field installation for other manufactures PDU, RPP, and panelboards can be performed with PDI BCM. Benefits: • Intergrate into sites building monitor system with MODBus • Predictive maintenance through real time current readings • Active monitoring down to the Branch Circuit Level • Factory installed or installed in the field. For single phase UPS units, the ability to have a Maintenance Bypass module allows Power Distribution to be maintained when facilities have to swap out UPS modules or for maintenance of the UPS. For IT centers to stay up and running, proper power distribution is vital to today’s data center needs. Benefits of the Eaton line of MBP units: • 700VA to 3kVA 120VAC models. • Ease of installation for either rack mount or tower applications. • Integrated mounting on various Eaton modules. • Can be used with other manufactures 120VAC single phase UPS modules. • Incorporates power distribution in the MBP unit with either 5-15R or 5-20R receptacles.